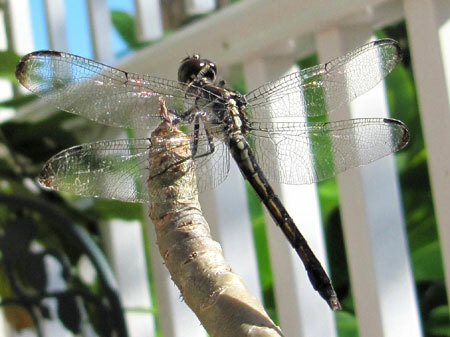 The oldest fossil of a dragonfly is over 300 million years old. Today we have about 5,000 different species of dragonflies all over the world (including damselflies) except in the polar regions. Like tiny living helicopters with huge multifaceted eyes (up to 30,000 individual lenses), two pairs of strong transparent wings (they are able to hover, fly backward and fly loopings), and a great appetite for mosquitoes. 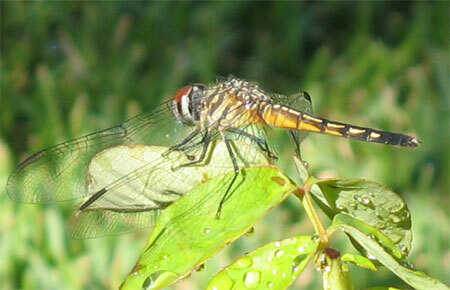 Dragonflies, attractive and graceful, count as predators and may live up to four months. They need a body of water for their young since nymphs (their larvae) are aquatic creatures. Nymphs use gills to breathe and feed on tadpoles and small fish. 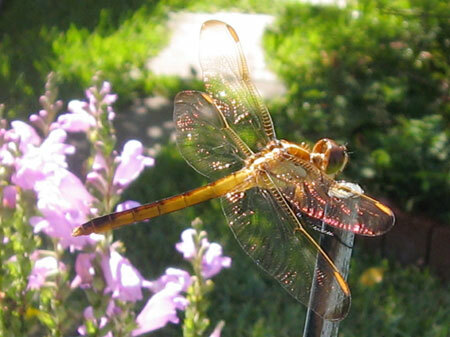 The larval stage of some large dragonflies may last up to five years.